Walt Disney Parks and Resorts celebrates 50 years of the Disney Ambassador program, which was first introduced as part of the 10th anniversary celebration of Disneyland. Walt Disney needed someone to act as a representative of Disneyland to audiences in the community and around the world, as well as host VIP guests and foreign dignitaries. Julie Reihm Casaletto, a tour guide for the park at the time, was selected by Walt to be the first Disney Ambassador. 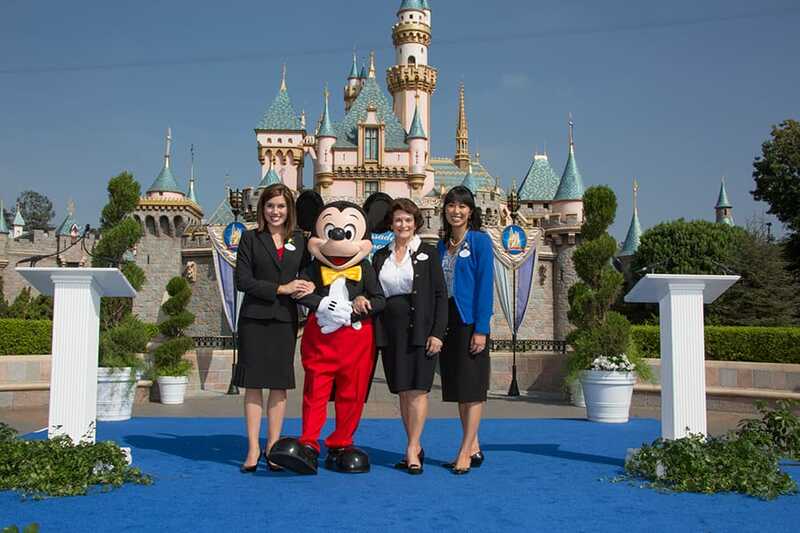 A half-century later, in a ceremony in front of Sleeping Beauty Castle at Disneyland park, Julie joined more than 50 former Disney Ambassadors yesterday morning to welcome the 2015-2016 Disneyland Resort Ambassador team, Jessica Bernard and Allie Kawamoto. The 50-year tradition continued at Walt Disney World Resort yesterday, as Caitlin Busscher and Nathaniel Palma were announced as the 2015-2016 Disney Ambassador team, receiving the golden opportunity of sharing the magic of “our world” – and representing nearly 70,000 fellow Cast Members – with the Central Florida community. Rounding out the global anniversary celebration, Disney Ambassadors also were announced recently at other Disney Parks around the world. At Hong Kong Disneyland Resort, Sara Hui was selected as the next Ambassador to represent the Asia-based theme park, and Tokyo Disney Resort chose Riina Imaeda as the first ambassador to serve a two-year term in Japan. 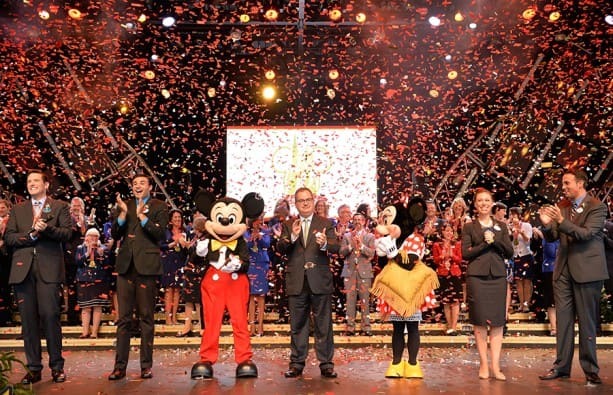 Sonia Demay and Romina Grochow were welcomed as new Ambassadors at Disneyland Paris earlier this month. 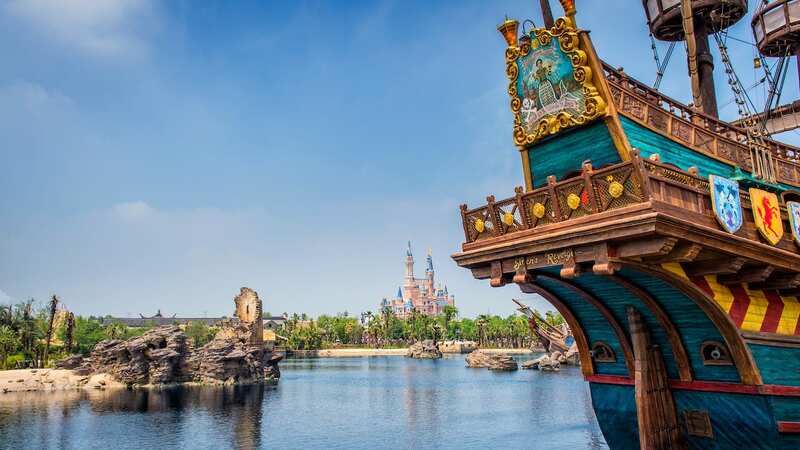 The Disney Ambassador family will grow this year, as Shanghai Disney Resort, scheduled to open in 2015, and Aulani, a Disney Resort & Spa, will for the first time name Disney Ambassadors.